Une vue sur une guifette noire(Chlidonias niger)qui observe les environs. Elle appartient à l'ordre des Charadriiformes et à la famille des Laridés. La photo a été prise lors d'une promenade au parc nature du Bois de l'Ile Bizard. 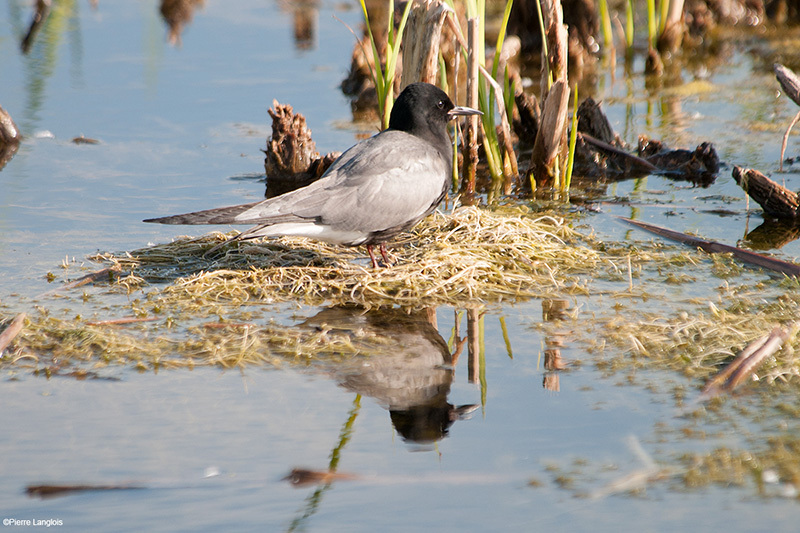 A view of a Black Tern(Chlidonias niger)which is observing the surroundings. It is part of the Charadriiformes order and of the Laridse family. The photo was taken during a stroll at the Bizard Island Wood nature park. Nice photo of this Black Tern in beautiful natural colors and fine sharpness.